Throwing a few drinks back at the bar is a timeless tale of humanity. In the American Old West, this tale played out in ramshackle huts and stylish establishments alike in some of the most unforgiving terrain imaginable. While the legendary Crystal Palace in Tombstone, Arizona, had little in common with the tent cities that sprang up in Leadville, Colorado, and Silver City, New Mexico, one common feature was the bars-constructed of planks of mahogany, cherrywood, or rosewood. These bars were often hauled across hundreds of miles of rugged terrain to arrive in various cities, where they would support the elbows, chins, and drinks of those who sought to quench their thirst. 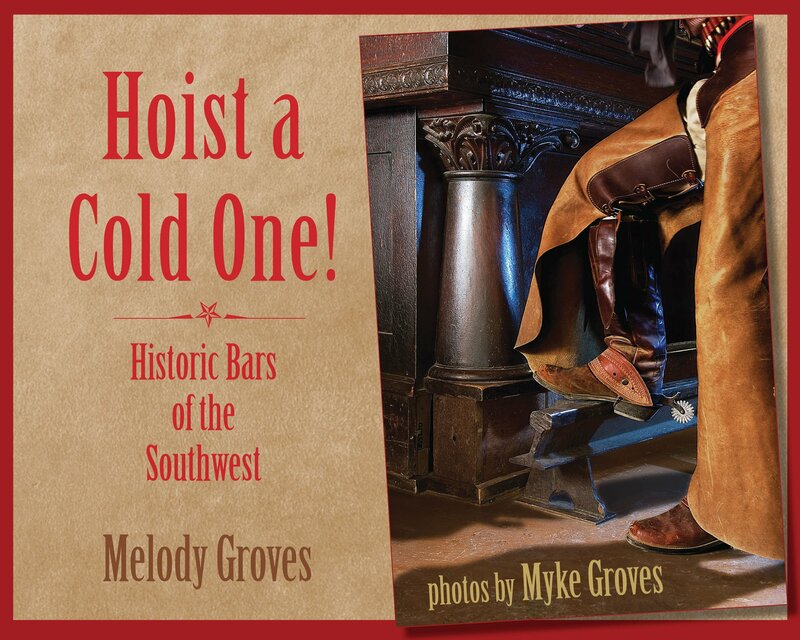 From the Grand Hotel in Bisbee to Rosa's Cantina in El Paso, Myke and Melody Groves tell the story of the front and back bars of twenty-five establishments in Arizona, Texas, New Mexico, and Colorado through a combination of historic background and photographs. This lively travelogue, complete with driving directions, will inspire visitors to the West's old mining camps, railroad towns, and ranching centers to stop in and belly up to the bar. Myke Groves, freelance filmmaker and avid motorcyclist, has had his photos featured in regional publications such as New Mexico Magazine and True West.